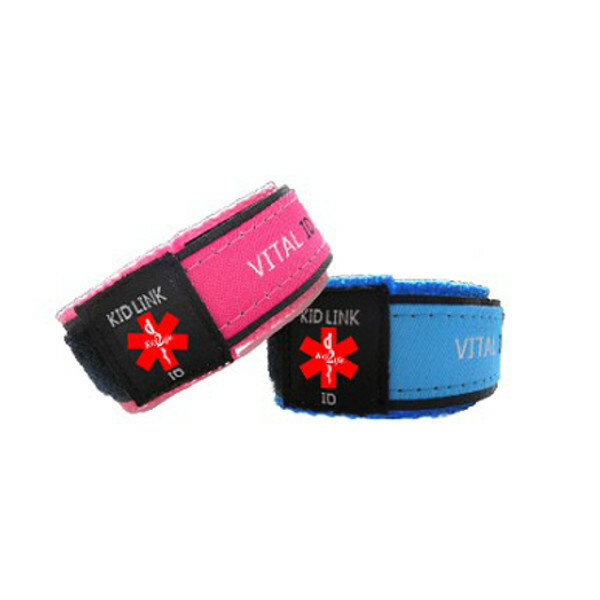 This Kids EMR Medi-Chip Velcro® Sports Band contains our Key 2 Life® (EMR) USB Medi-Chip that is 100% Waterproof. This 100% ultra light weight VELCRO® Brand Medical ID Bracelet band has a special pouch on the underside to slide the USB MediChip into. It is tethered by an elastic cord so that you will never lose the MediChip. The VELCRO® closure allows these bands to be adjusted to fit children's wrists from approx. 31/2"to 8" and is 3/4" wide. 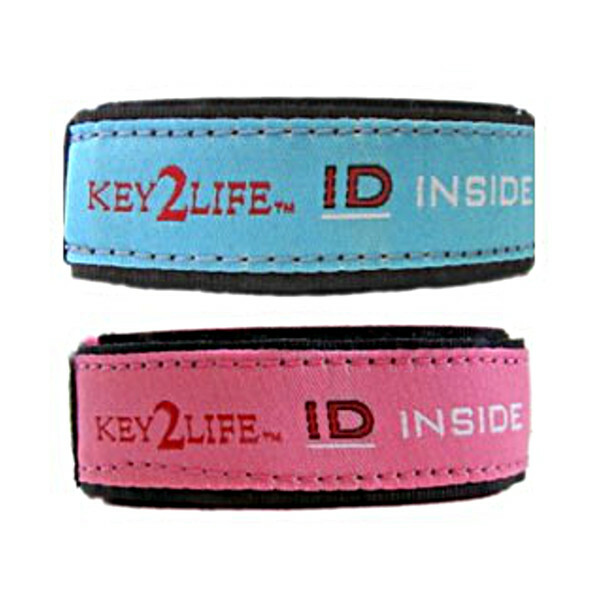 These band colors can also fit men or women who have a slightly smaller wrist size.